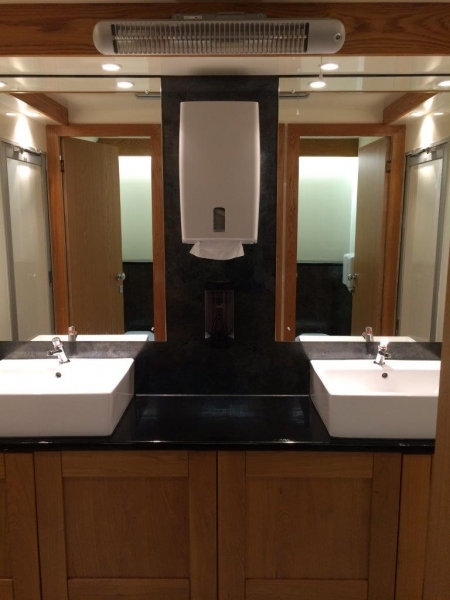 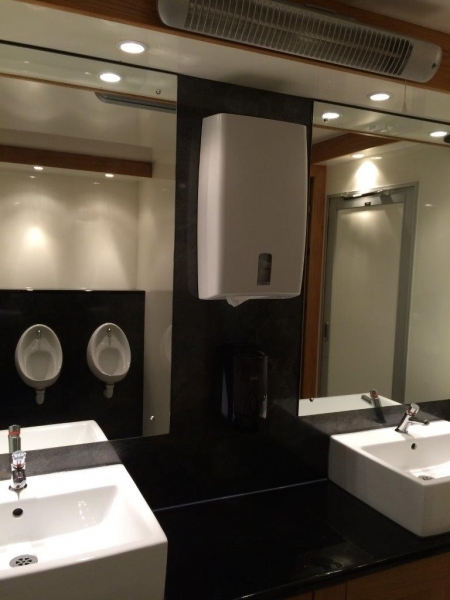 A completely self-contained re-circulating, Luxury toilet trailer units comprising of Modern bright interior with oak cabinets, black marble-effect worktops, large mirrors, down lighters and chrome taps. 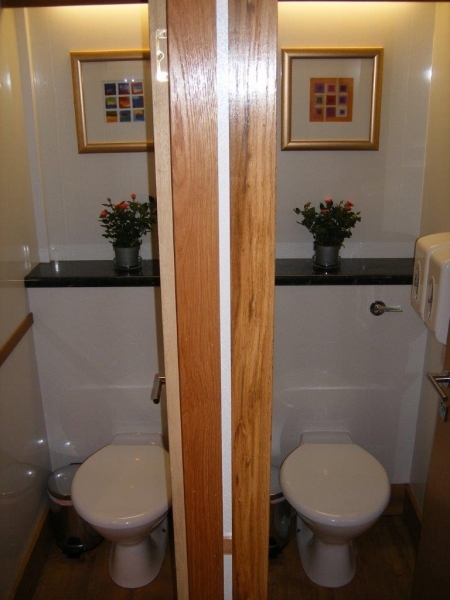 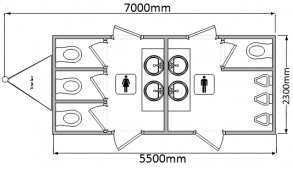 Please Note: Layout and images are of CrackerJack Luxury Toilet Units and other Luxury Toilet suppliers are used to fulfil some of our bookings. 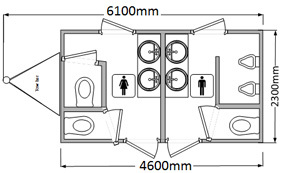 Interiors, exteriors and layouts are therefore subject to change.